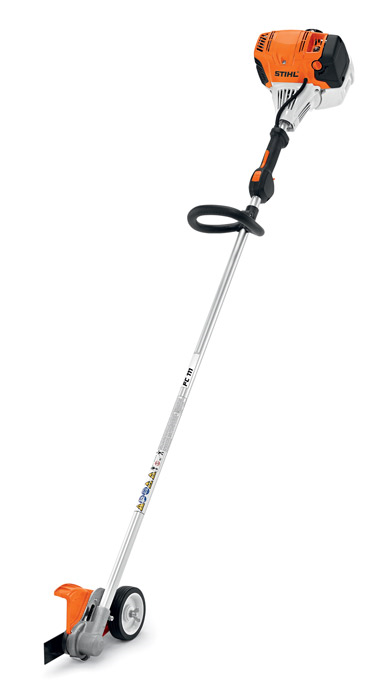 Bring your A game to any landscaping job with the STIHL FC 111 edger. With its large 710 cc fuel tank and low-emission engine, this professional edger delivers 30% longer run times than the FC 110. It features a vertical pleated paper air filter with larger surface area for better filtration, extended service intervals and increased product life. In addition, get to the job faster with the easy three-step starting procedure. With its semi-automatic choke lever and one-touch stop, this edger is ideal for the demanding professional landscaper’s edging tasks. Walking the line has never been easier.